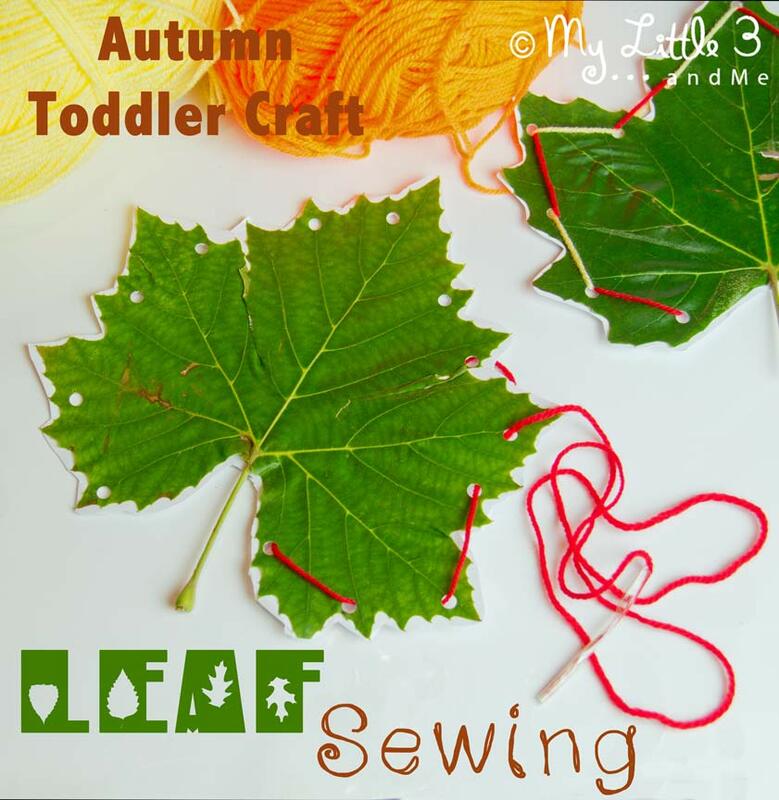 Lacing is a great activity for toddlers and preschoolers to help develop fine motor skills, concentration, and hand-eye coordination. 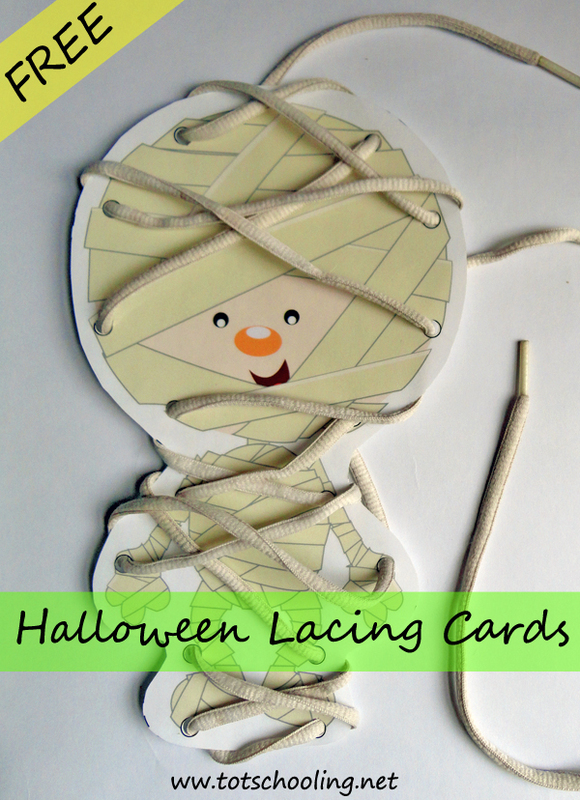 Grab an old shoelace and try out one of these free printable Halloween themed lacing cards! 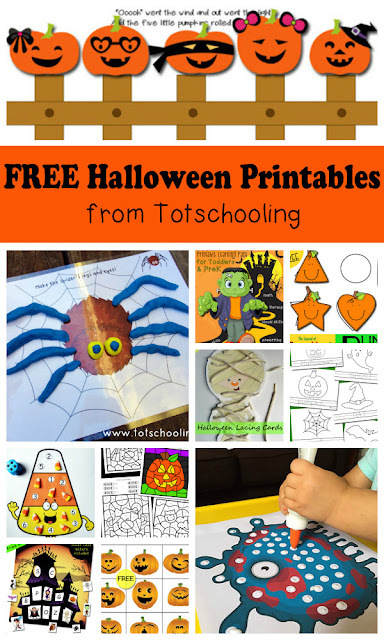 These 5 free Halloween lacing cards include a mummy, a spider web, a bat, Frankenstein, and a jack-o-lantern. We usually like to use lacing cards by lacing around the outside of the image, but for the mummy and spider web I thought it would be fun to lace across the image as shown in the pictures. However, your child is free to lace in whatever pattern they would like! -shoe laces, yarn, ribbon, etc. 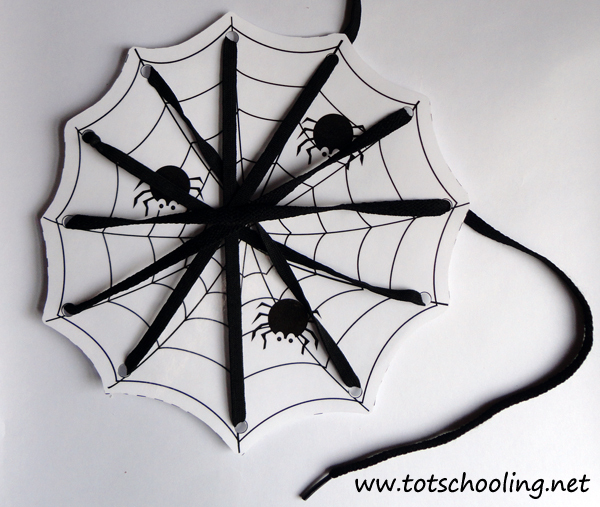 Note: For the mummy and spider web we had to use 2 shoelaces since one was not long enough. If you choose to use yarn or ribbon, you can reinforce the ends with tape to form the lacing "needle". 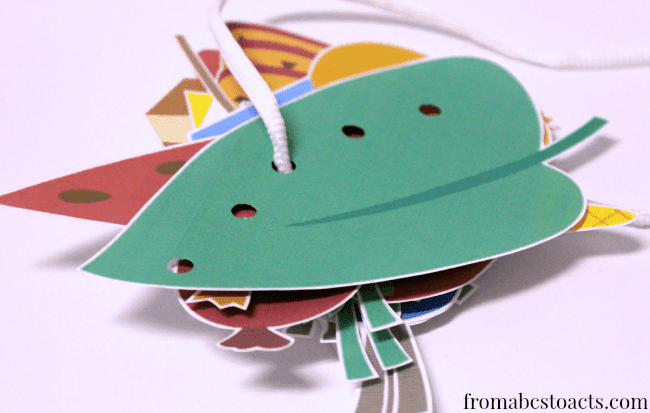 For more fun lacing ideas and printables, check out the following featured posts! Visit my co-hosts to see all the other features! Thanks, my daughter really enjoyed them. 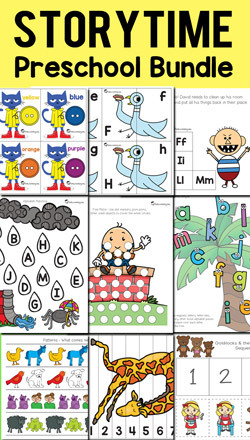 I'm going to add these to our Halloween craft and activities I have planned for our Friday fun homeschool day tomorrow. Thanks for sharing. These are adorable. Sounds great. Hope you enjoy them! Love those lacing cards! Pinning!